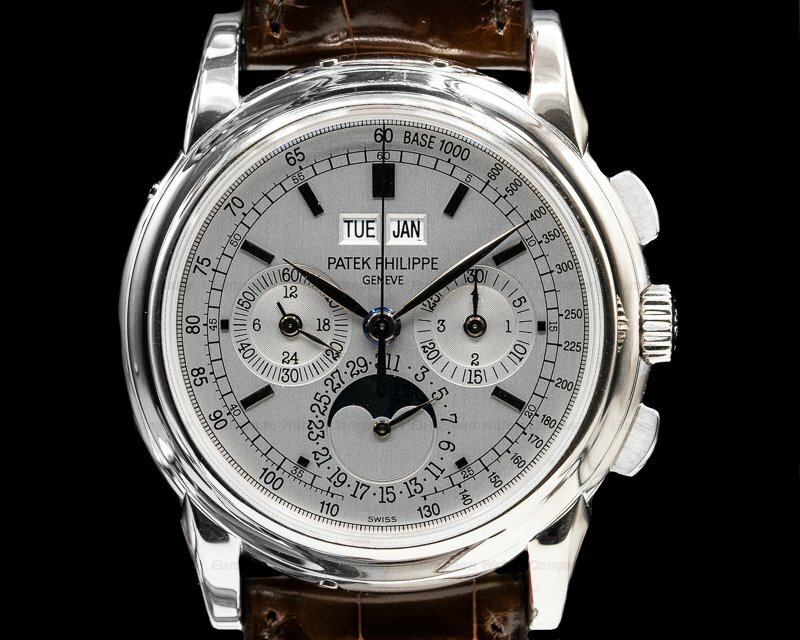 This is an 18k white gold Patek Philippe chronograph 5070G. 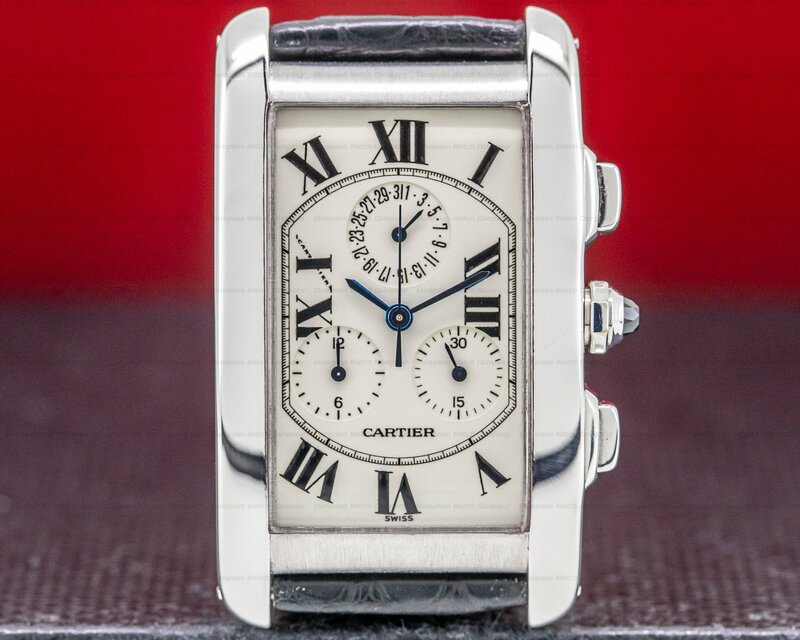 It has an alligator leather strap with a deployment white gold clasp, and a scratch resistant sapphire crystal. 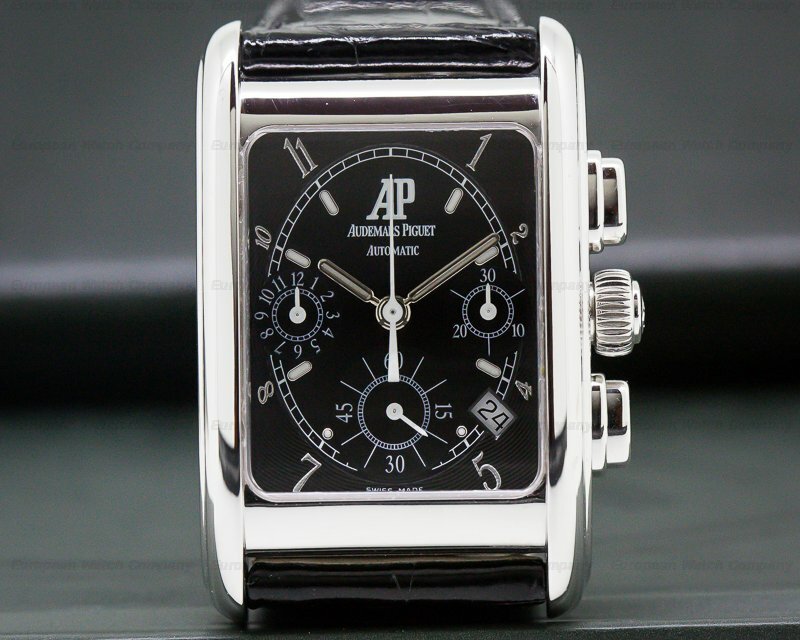 It has a screw-down exhibition sapphire display case back, rectangular chronograph push buttons, and a pull-out winding crown. 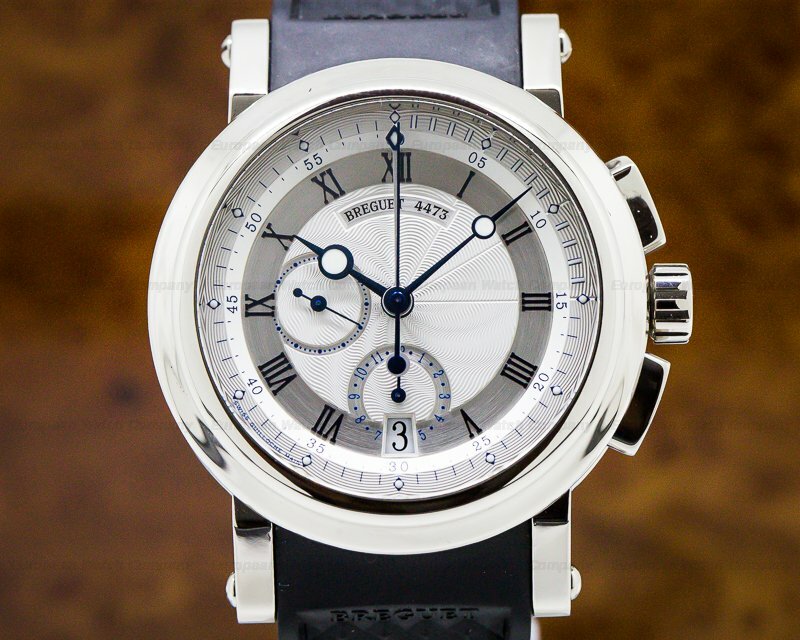 The 42mm diameter solid two-body case, downturned beveled lugs, and wide stepped bezel are polished. 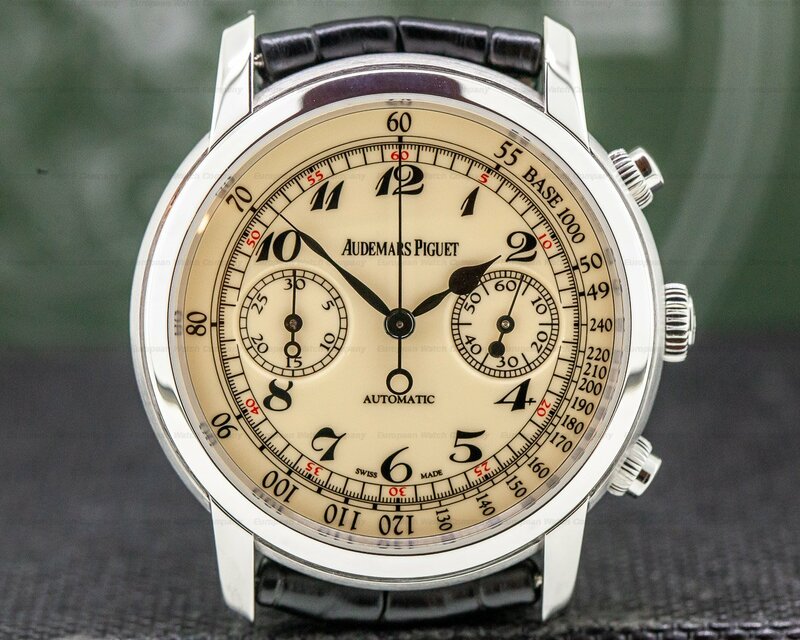 The dial is matte silver with a subtle vertical graining, applied oxidized white gold Arabic numeral hour markers, oxidized white gold feuille hands, and a center sweep chronograph hand. There is a double perimeter scale with a railway-style outer 60-minute/one-fifth-second track, and an inner tachymeter graduation to 1000 UPH. There are twin recessed subsidiary dials, including a running seconds register at 9 o'clock, and a 30-minute totalizer at the 3 o'clock position. It's water resistant to 25 meters/80 feet, and it has a 58-hour power reserve at full wind. The 12mm thick case, dial, and movement are all signed. 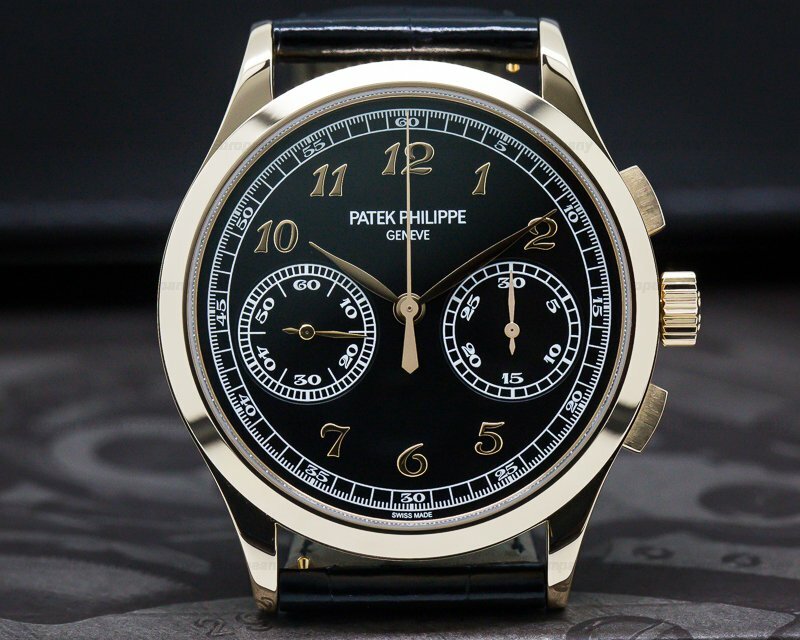 This Patek Philippe chronograph 5070G has a mechanical manual winding Patek Philippe caliber 27-70/157 movement. 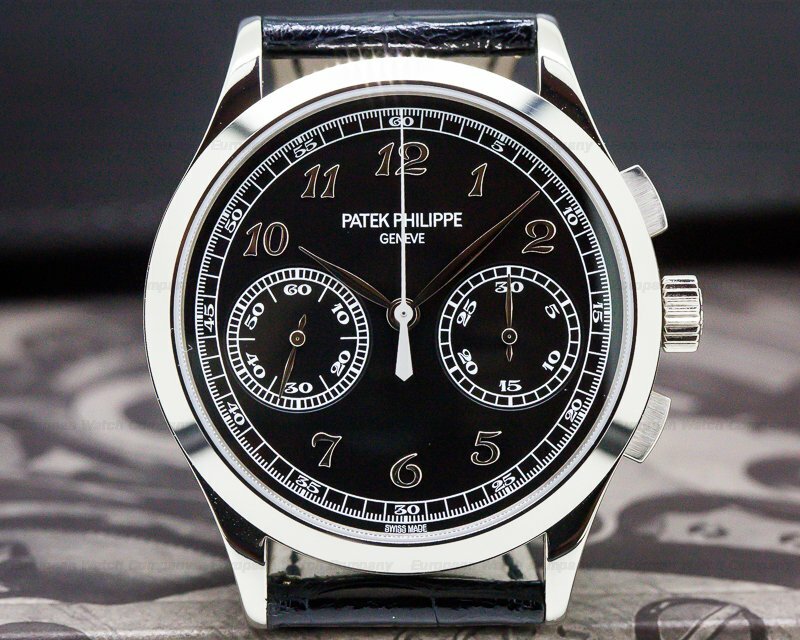 It's stamped with the Seal of Geneva quality mark and the Patek Philippe signature. It's rhodium-plated, with fausses cotes and cote de Geneve embellishment on the bridges. 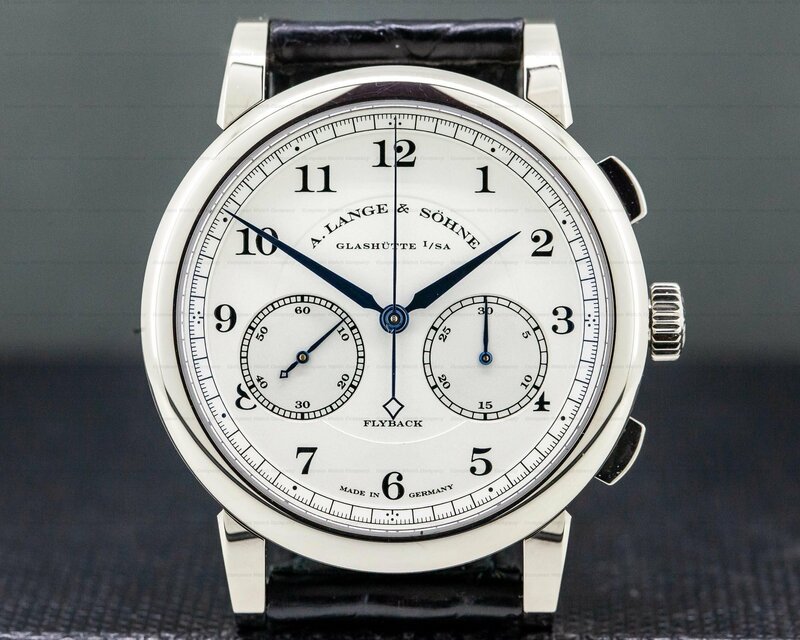 It's constructed with 24 jewels, a shock absorber device, and a straight-line lever escapement. It has a lateral clutch, an overcoil, and a monometallic Gyromax balance that's adjusted to heat, cold, isochronism and 8 positions. 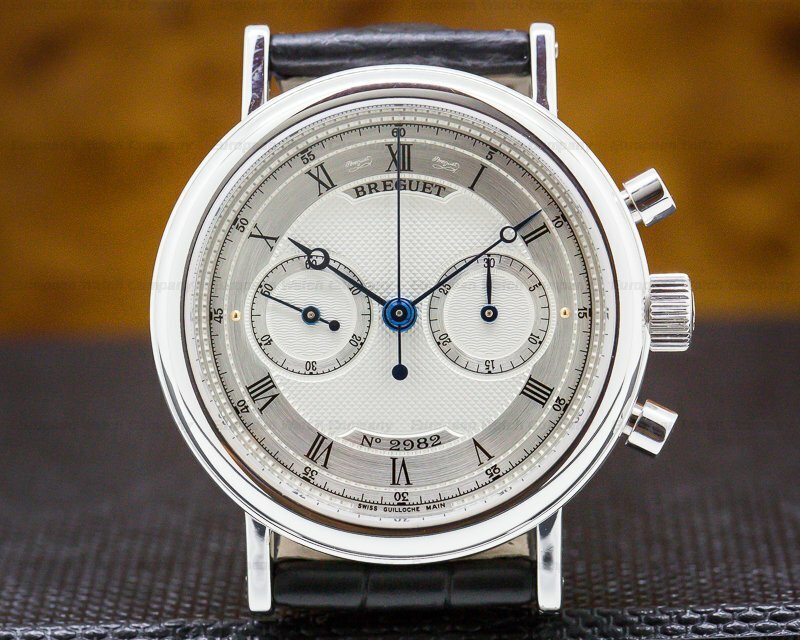 There is a self-compensating free-sprung Breguet balance spring. 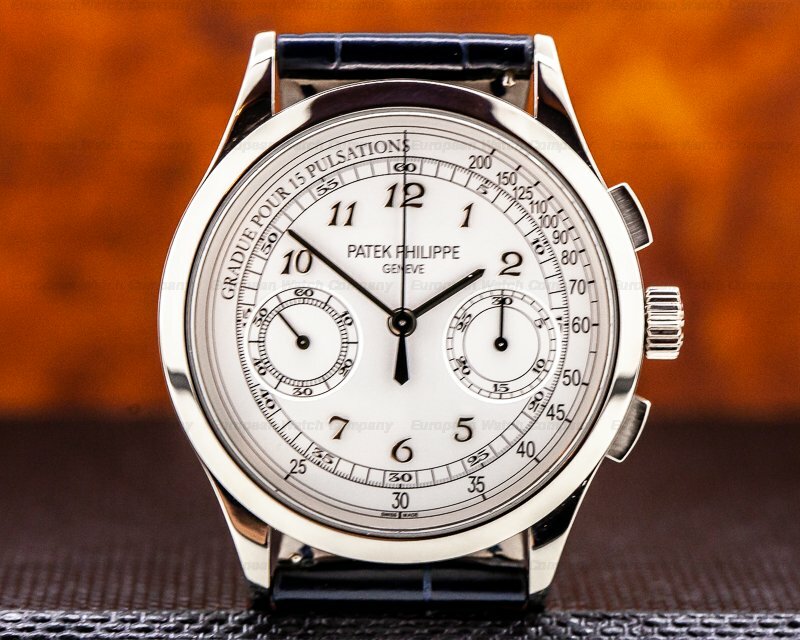 The Patek Philippe Chronograph 5070G debuted in 1998 - Patek's first basic chronograph in 40 years. It was produced until 2010.